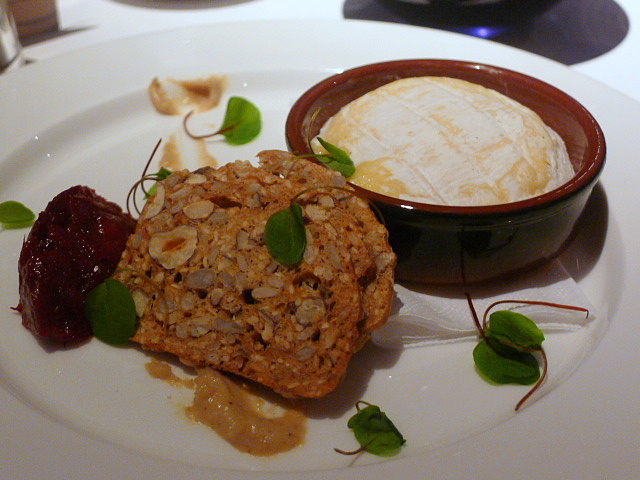 A second starter of baked St Marcellin (£5.95) with spiced cranberry chutney, roast garlic and seeded crostini was pleasant with cheesy goodness. 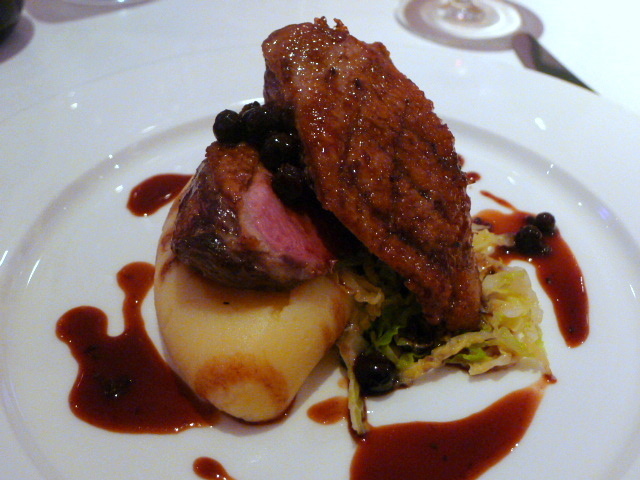 Pan roasted duck breast (£14.95) was nicely cooked and pink. But it was a touch chewy and it lacked for a robust flavour. It was accompanied by a yummy mash, savoy cabbage and blackcurrant jus. 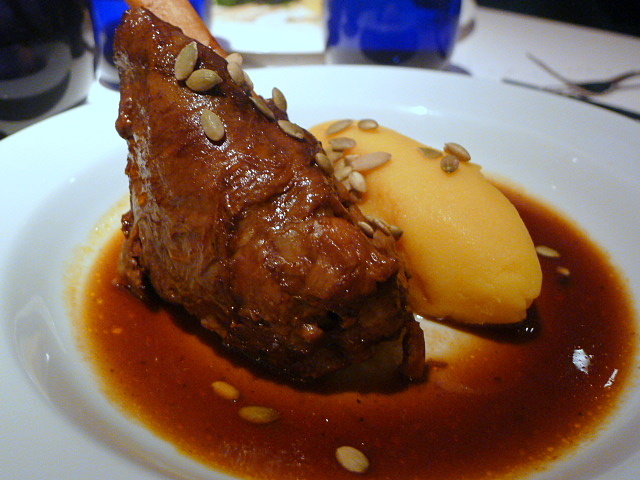 Braised lamb shank (£14.50) was tender and tasty. Also enjoyable was the pumpkin and sage mash and the ale sauce that came with the lamb. 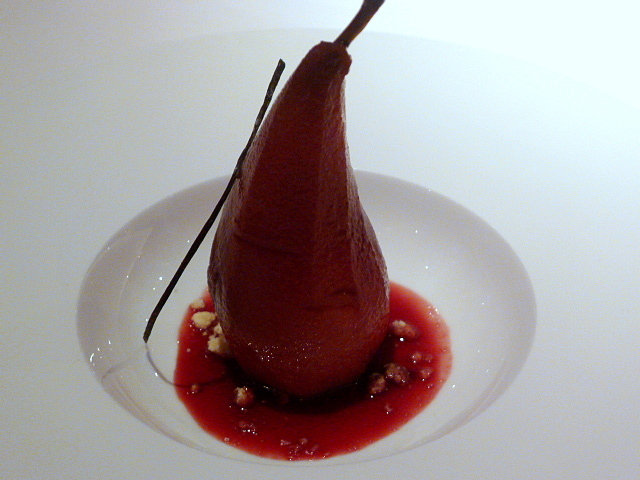 Of the desserts we tried, the poached Williams pear (£5.50) with warmed mulled wine syrup was the best of the lot. The pear had been poached to the right level of doneness and was neither too firm nor too soft. The syrup was well balanced in its sweetness. 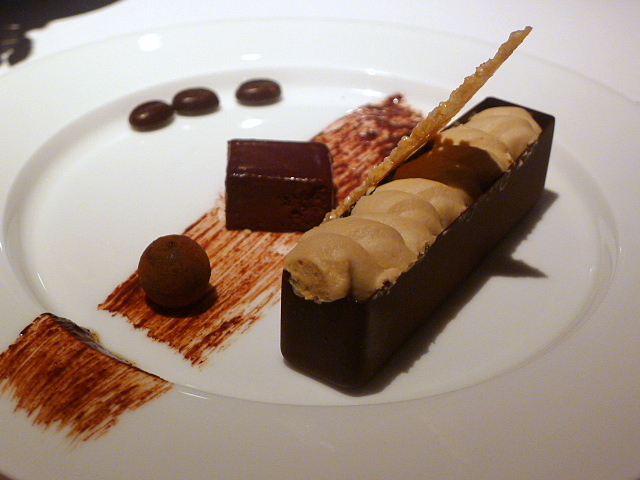 White chocolate espresso mousse (£5.50) was as pretty as a picture and came with dark chocolate, salted caramel and a sesame tuile. The mousse was very light but almost too creamy. 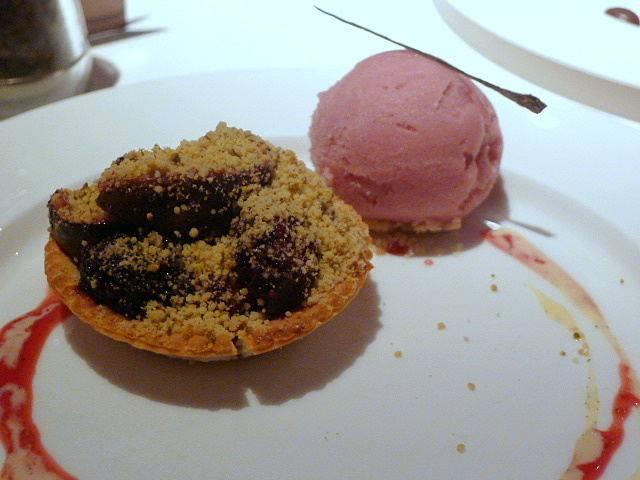 A fig and blackberry tart (£5.50) was topped with a pistachio crumble which was a little sickly. The pastry wasn’t quite right either and tasted bland. This wasn’t the most inspirational of meals. Delfina wasn’t pricey, so is fine for a lunch I guess. But Friday dinner? Probably not, especially seeing what else there is to offer on Bermondsey Street. 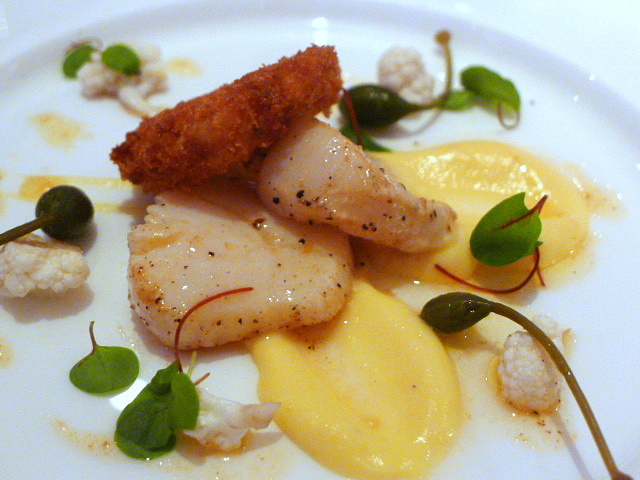 Price range: £20 – £30 for three courses. Excludes drinks and service.